Room for a young person studying / working. Available from 20 April. 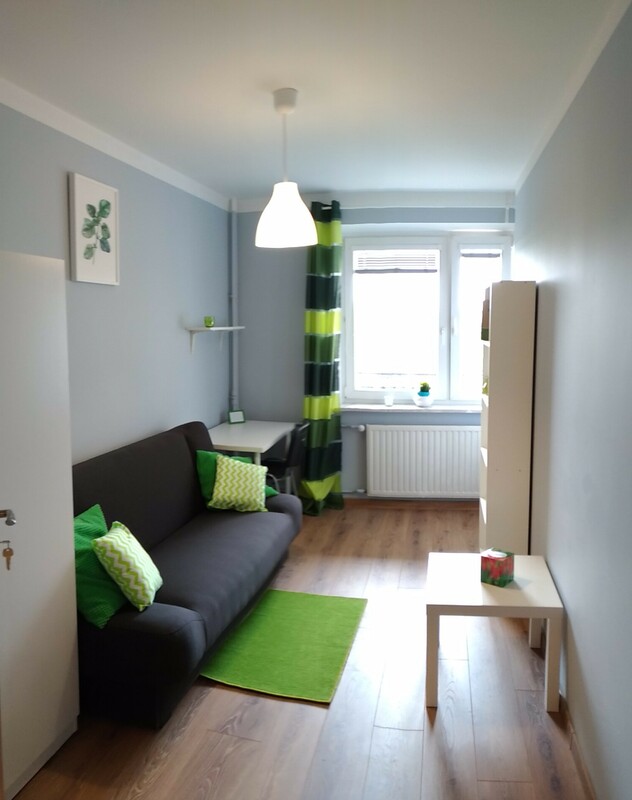 I rent a single room in an apartment near the Imielin metro station. 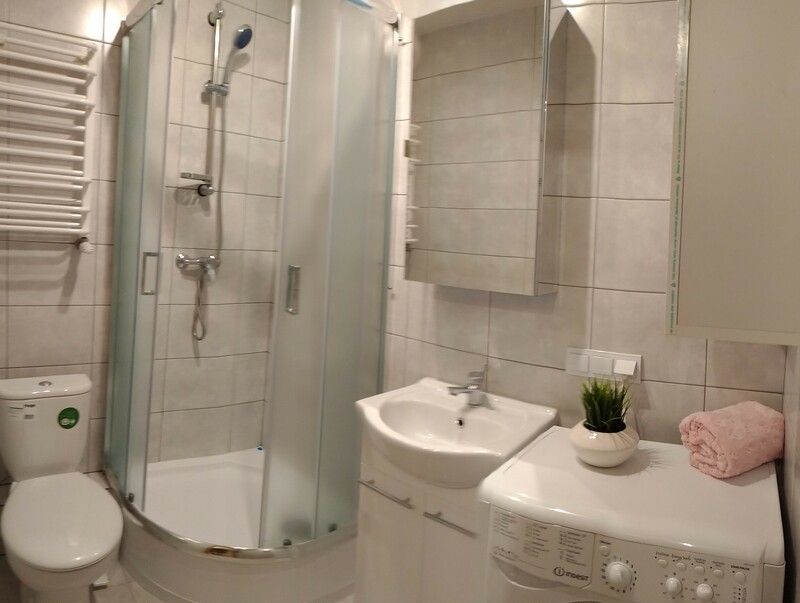 The room is located in a newly and completely renovated flat without an owner. Very convenient communication - to the metro station 8 minutes on foot. Three bus stops to SGGW. 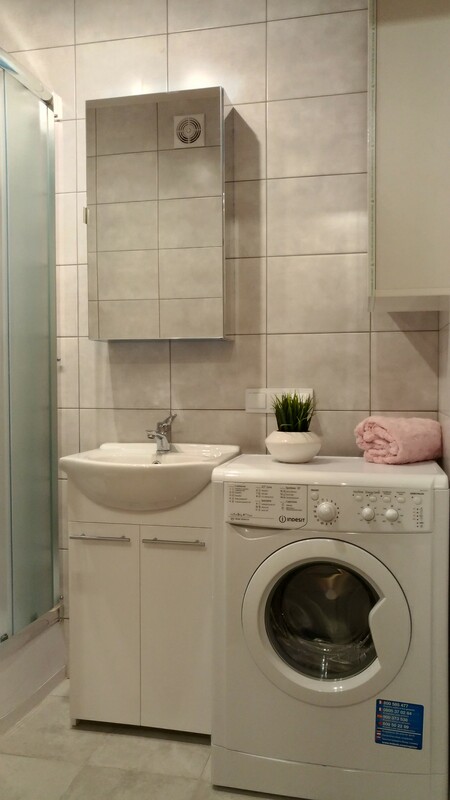 Quiet neighborhood, near Biedronka - 3 min, Tesco, Rossman. 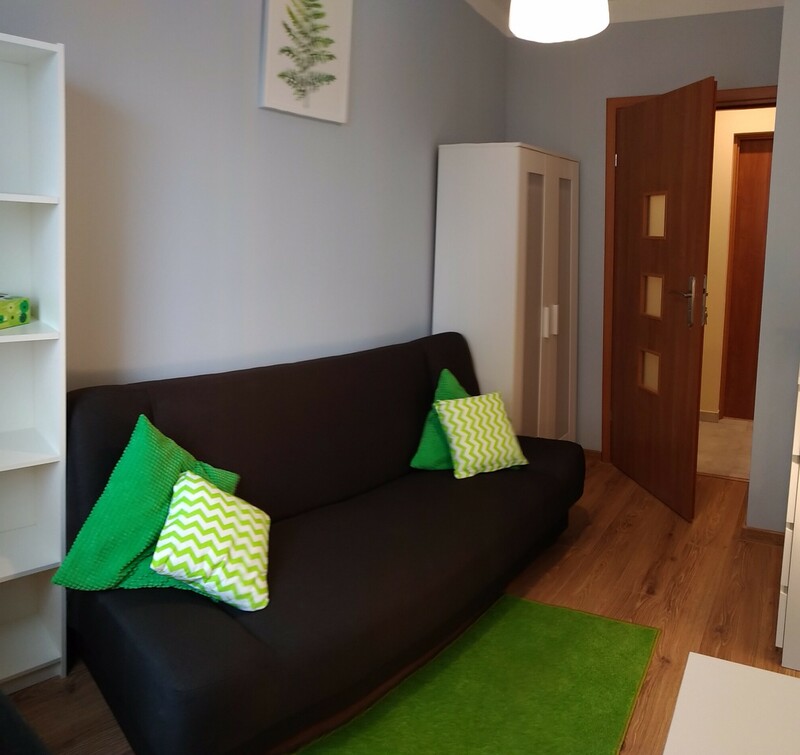 The apartment after a complete refurbishment, all equipment and furniture in the apartment are new and adapted to the needs of young, studying / working people. The room has a bed with a container for bedding, desk with a lamp, chair, wardrobe, bookcase, chest of drawers, clothes dryer, window blinds. The room is locked. 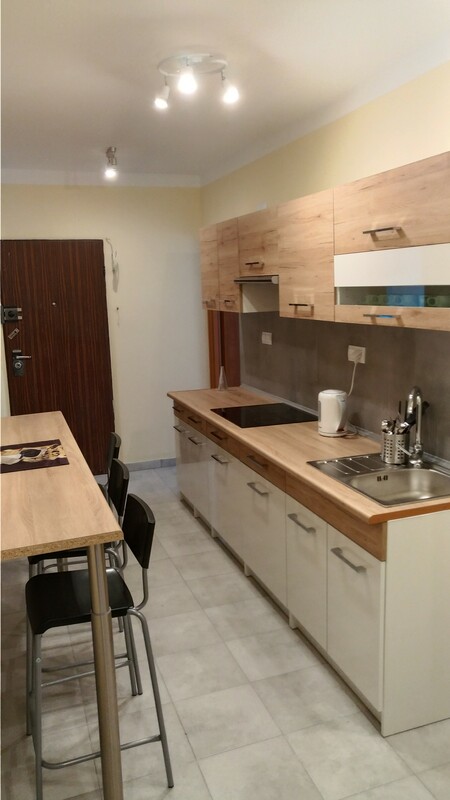 Equipped (washing machine, refrigerator, vacuum cleaner, iron, ironing board, microwave oven, hob, pots, dishes, cutlery). 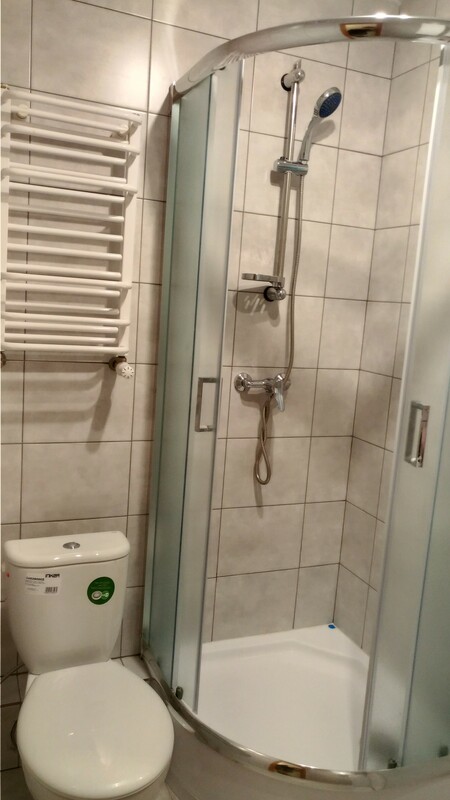 Separate bathroom with toilet and toilet. High-speed internet in the price of the room, utilities payable in addition. Near the full infrastructure: metro, shops, Tesco, Biedronka, Rossman, Lidl, restaurants, bars, Multikino, Venturilo fitness station. Feel free to contact young people who are studying / working, non-conflict ones that value their peace and respect the peace of others, they care about order and cleanliness in the apartment, they keep timely payments. Rent: PLN 950 plus PLN 150 media / meats. A refundable deposit in the amount of one month's rent is required.